1. 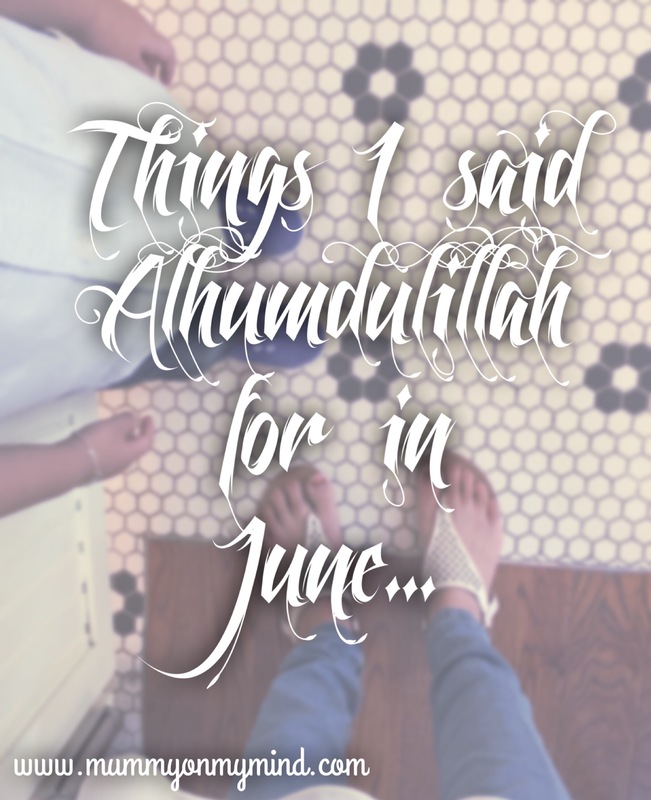 Embarking on yet another month of blessings this Ramadan. 2. Home made Iftars. No matter how exquisite Iftars are at restaurants and hotels, home made ones beat them all. 3. Alhumdulillah for all the blessings that Allah has bestowed upon me. My husband, my baby boy, my family and so much more. 4. Knowing that my blog inspired a non-Muslim Facebook Friend to fast for an entire day in the UK, where the sun sets at 9.30 pm during the summer! Of course, I don’t expect her to have converted to Islam by the end of the month, but I thank her for this simple action of opening up our minds to different cultures and religions. This is what humanity is after all isn’t it? Co-existing together in harmony, with mutual respect and love. 5. Alhumdulillah for patient people. They make tricky situations so much easier to deal with. 6. The support received for my Hijab Story. It was overwhelming and I thank each and every person who took the time to read that very long post. 7. Having the chance to share Iftar with family and friends. All my family reside in the UK or India, so there is always that element of something missing during special times like Ramadan. However, to be able to be part of a new family and friends group here in the UAE is a blessing indeed. 8. Drinking plenty of cold things and NOT waking up with an itchy throat the next day. Win! 9. Cuddles and blow kisses from Baby Z whenever he leaves me to go for walks or to the shop without me. 10. For Chocolate. It keeps me going on a daily basis. It is officially a YEAR since I started jotting down things I said Alhumdulillah for every single month. The very first of the Alhumdulillah series was published this time last year in June 2015, and you can read it here. How far we have come! I agree about home made Iftars, they are the best! And I loved reading your hijab story too. MashaAllah. I am proud of you for being grateful for every little act.